The one with wavelength of 1310/1550nm is SFP single-mode with the transmission distance of over 2KM. The prices of the module with these three wavelengths are relatively cheaper than those of other three wavelengths. If there is no logo on bare module, it is easy to confuse, and the general manufacturers will distinguish between the color of the ring, such as the one of black pull ring is the multi-mode with the wavelength of 850nm while the ones of blue, yellow and purple pull ring are single modes with the wavelength of 1310 nm, 1550 nm, and 1490 nm respectively. Almost all multimode fiber sizes are 50 / 125μm or 62.5 / 125μm, and the bandwidth (fiber’s information transmission rate) is typically from 200MHz to 2GHz. The multi-mode Optical Transceiver can transmit up to 2 km through the multi-mode fiber. Put light-emitting diodes or lasers as light sources. The ring’s color or outer color is black. Single-mode fiber has a size of 9/125μm and has an infinite bandwidth and a lower loss compared to the multi-mode fiber. The single-mode optical transceiver is for long-distance transmission, and sometimes up to 100 km. Use LD or LED of the narrow spectrum as a light source. The ring’s color or outer color is blue, yellow or purple. Single-mode fiber is cheap, but single-mode equipment is much more expensive than its multi-mode device. Single-mode devices can always run on both single-mode fiber and multimode fiber, while multi-mode devices’ operation is limited to multi-mode fiber. With this year’s closer single-mode and multi-mode SFP optical module, the current single-mode cable and single-mode module have become the mainstream. Single mode is superior to multi-mode type in use. As we all know, a common SFP module usually has two interfaces, one is the TX port used to transmit the signal while the other is the RX port used to receive the signal. 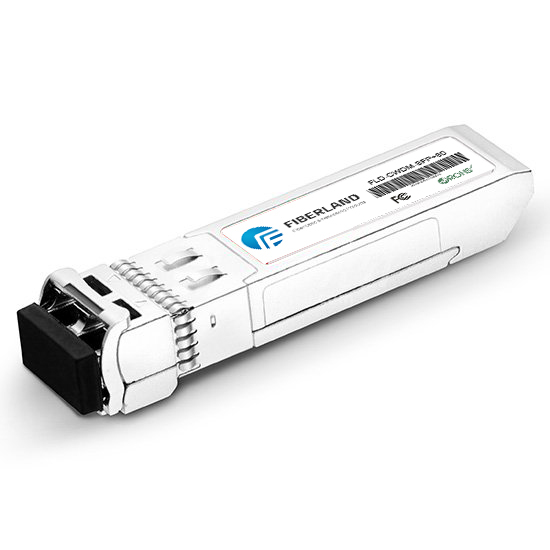 Unlike the common SFP module, the BiDi SFP module has only one interface, which uses a single WDM coupler to transmit and receive signals on a single fiber. All SFP Modules must be used in pairs. For common SFPs, we should connect two SFPs with the same wavelength together. For example, we use 850nm SFP at one end, and then we have to use 850nm SFP on the other end (as shown below). For BiDi SFP, because it uses different wavelengths to transmit and receive signals, we should connect two BiDi SFPs with opposite wavelengths together. For example, we use TX1310 / RX1550nm BiDi SFP at one end, and then we should use TX1550 / RX1310nm BiDi SFP at the other end (as shown below). At present, BiDi SFP is mainly used for connection of the fiber-to-the-home deployment of P2P (peer-to-peer). An FTTH / FTTB active Ethernet network consists of a central office (CO) connected to a client device (CPE). BiDi SFP allows bi-directional communication on a single fiber using wavelength division multiplexing, which makes the connection of CO and CPE simpler.